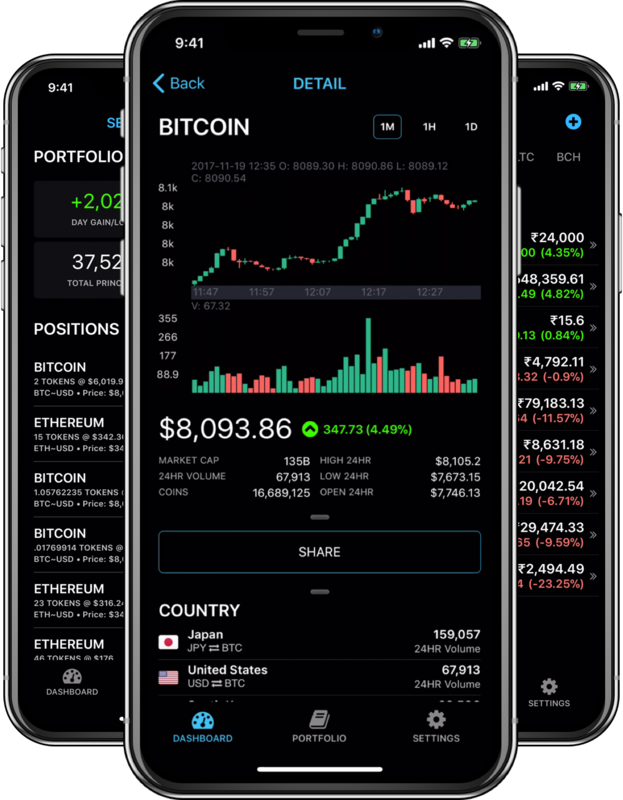 Beautifully designed cryptocurrency portfolio, quotes and news at your fingertips. 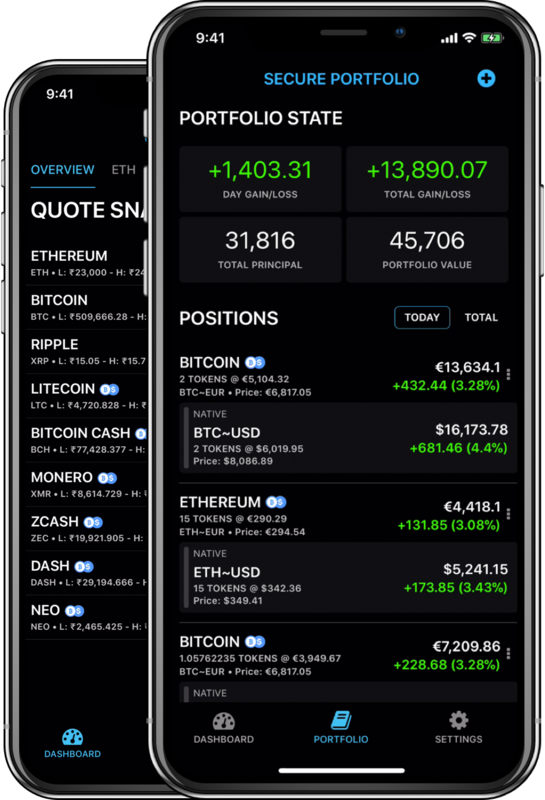 CoinHub provides the professional grade realtime quotes and portfolio management for your favorite currencies. 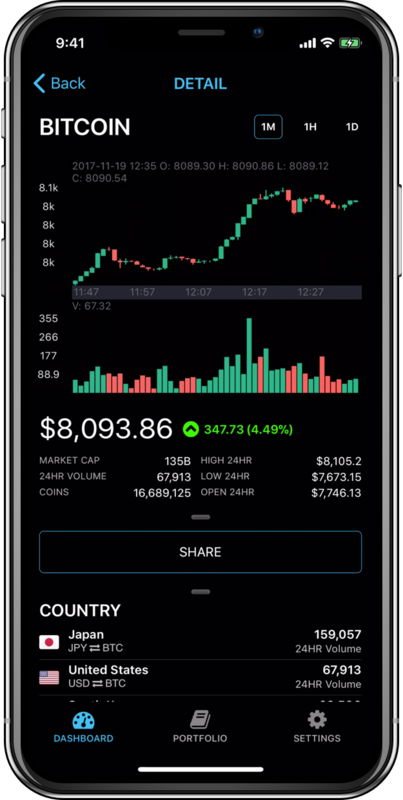 Everything on CoinHub happens on device so you're secure. Making sure your information is secure is our top priority. Your portfolio data is stored on device and we don't send it to a server. This provides you with low-latency realtime portfolio calculations with the uttmost security. CoinHub has a innovative FOREX engine built right into CoinHub. You can now look up prices of any currency and see the value in your local fiat currency backed by realtime forex market quotes. 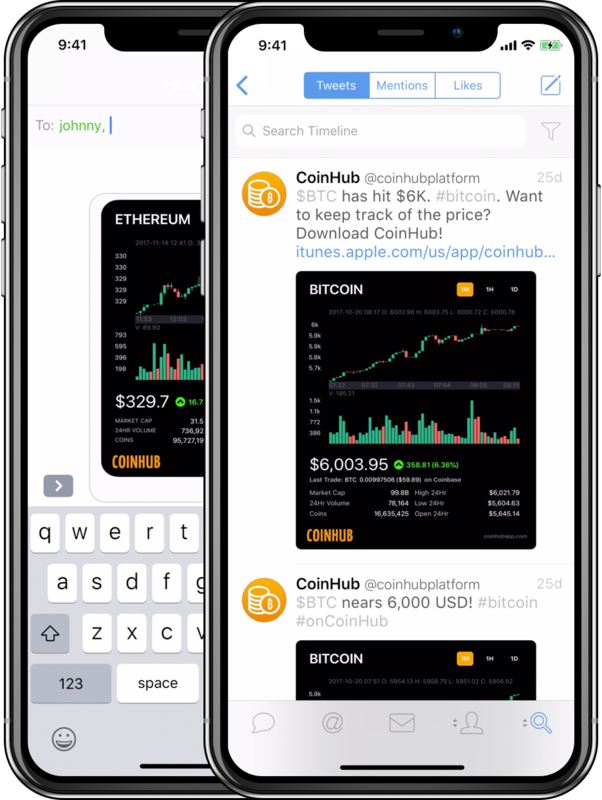 CoinHub Secure Portfolio also comes equipped with a FOREX engine allowing you to purchase any currency pair and automatically see the value in your local fiat currency. Gone are the days of needing to maintain messy excel spread sheets or having to calculate currency converstion rates to understand your portfolio's value. Still visiting multiple sites to figure out what is going on with currencies you own? 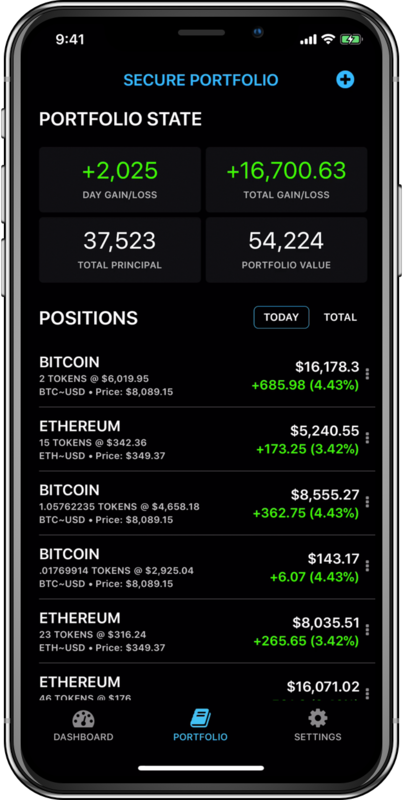 Every CoinHub dashboard has by the minute, hour, and daily breakdowns along with detailed price quotes and currency statistics giving you a commanding view when you're on the go. Crypto trades 24/7 across hundreds of exchanges all over the world. Unlike traditional markets, there are is no central source of information when it comes to tracking the news in the crypto space. 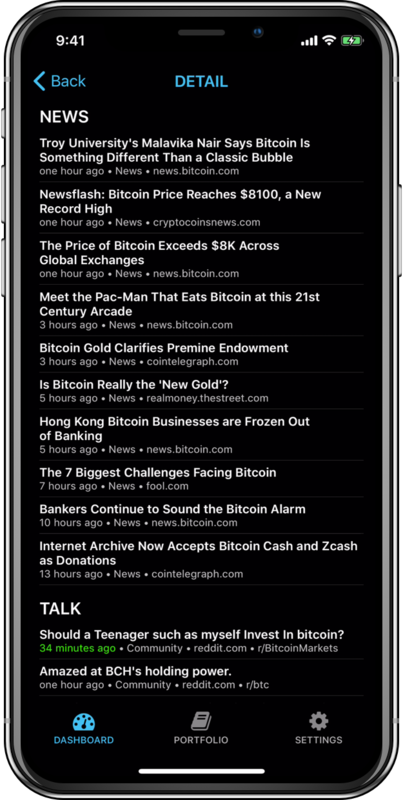 CoinHub monitors all the major news publications and most important discussions and brings it to you in real time. This allows you to stay on top and make the important decisions when it matters the most. Each currency dashboard has a breakdown of real-time news and community posts. You'll never be in the dark with CoinHub. Sharing with CoinHub couldn't be easier. Easily share beautiful quotes with friends and social media with a tap of a button.